Available on Android, Windows Phone and Windows. 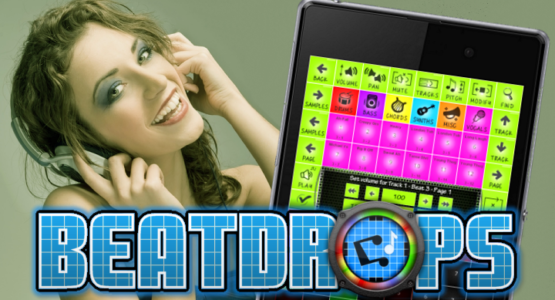 BeatDrops allows you to create fun new original beats, loops, ringtones and songs by dragging samples onto a sequencer. Improve your beats by purchasing extras from the Store. Save and Share your beats / projects to the world. Other users can then download and use your projects. Browse and see what other users have created. Hundreds of awesome samples and loops. 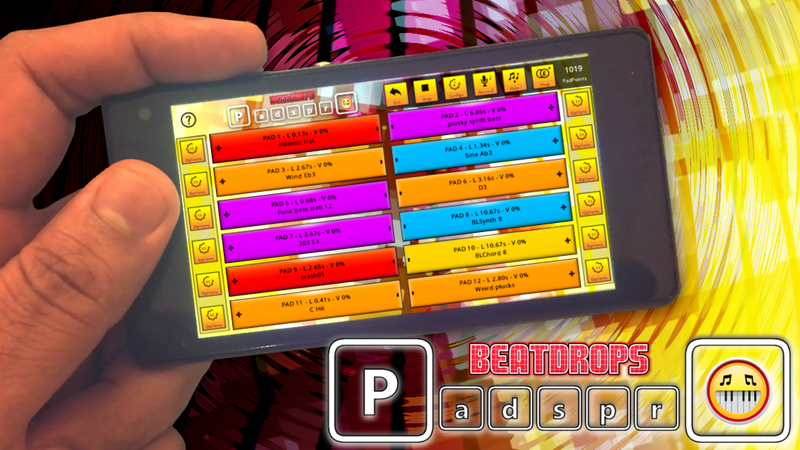 Change beat BPM to create music in any genre like Hip Hop, Drum and Bass and Dance. Adjust Volume, Pan and Pitch to create some great FX. Upto 12 tracks and unlimited pages. Record your beats using your mic and save as mp3 or new Ringtone! Add your vocals while recording. Try BeatDrops and email us with your feedback and bug reports! Thanks..
Dont forget you can also import your own or third party samples into BeatDrops however they must be OGG format. This should not be an issue, if your samples are in mp3 or wav format then use a free audio converter software to convert to ogg. When using third party samples/loops and you want to upload and share your project please make sure you have permission to do so from the copyright owner of those samples. Read the Terms of Service file before making any submissions. Looking for another great beat maker app?! ..Then check out Pads Pro! Thanks for Checking out BeatDrops and we look forward to checking out your work!